Give Your Power to Truth: What Story Are You Writing for Your Life? Leave a Comment on Give Your Power to Truth: What Story Are You Writing for Your Life? 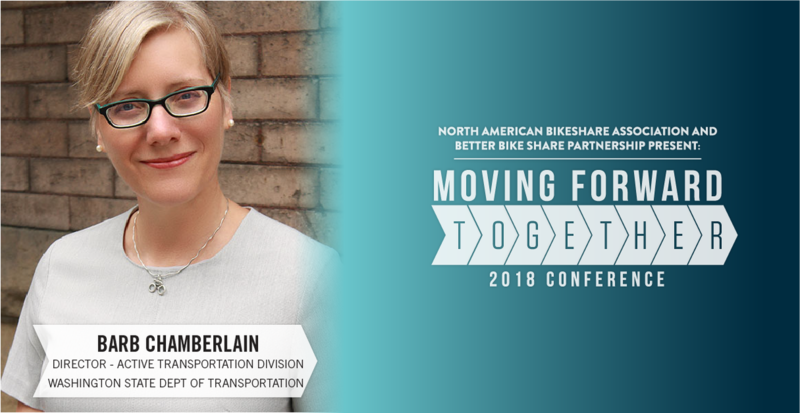 I had the honor of delivering the closing plenary at the 2018 national bikeshare conference presented by the Better Bike Share Partnership and the North American Bike Share Association. This is a lightly edited version of those comments taken from the video embedded below. Other takeaways from the conference also appear below and Better Bike Share Partnership posted links to the bikeshare conference materials. Keith Benjamin opened this conference with an incredibly powerful speech. He drew upon the stories of the past—the HIS-STORY/HER-STORY/THEIR-STORY of the past—to challenge each one of us to take RESPONSIBILITY and to take ACTION. I don’t know about you but my brain is full from what I’ve learned the past three and a half days. My email inbox is full. And my heart is full from the stories we’ve heard. I want to close our time together by talking about your stories of the future. We opened with the past–let’s look ahead at the HISTORY/HERSTORY/THEIRSTORY that you are going to write with your actions when you leave here. I believe we are a storytelling species. You got a lot of data here and for some of you your job is the numbers—but it isn’t really the numbers, it’s the STORY those numbers tell. There is perhaps no better time in history for you to ask yourself what kind of story you’re writing with your life. What will you tell people you did, years from now when they ask? Because they WILL ask. We are all going to answer to history. HOW you tell that story is unique to you. It will probably change for different circumstances, different audiences, different punchlines you’re trying to set up. If you’re from my family you start to tell the story and they’ll interrupt you and tell you what REALLY happened. I am number five in a family of six so I’m one of the little kids—and the big kids always get the last word. Up here they don’t get to do that. So let me give you an example of storytelling your life story. My bike story begins with my purple sparkly bike with the streamers, or the yellow 10-speed I rode to school. I went to a little country school outside of Lewiston, Idaho, so think county road, irrigation ditches, wheat. Maybe alfalfa in rotation. That yellow 10-speed had shifters on the down tube–those are not words I knew at that time. I felt so free and so powerful and I rode so far! Not long ago I went to Google Maps to see how far it was and it was a whole mile and a half. So one of those short trips easily converted from car to bike. But it was awesome! So that’s where my story begins. Or the story begins when some of my neighbors in Post Falls when I was living in a little subdivisionary suburb kind of place with no sidewalks did not want a trail to come through the neighborhood because it was going to go by an elementary school–on a city street, mind you, and the was listed in the phone book so people pretty much knew where it was but somehow this trail was a security threat. I thought the trail was a GREAT idea so I volunteered on the North Idaho Centennial Trail Committee. Or—this one’s dangerous—the story starts when I went to a women’s political conference in Boise, Idaho, in 1990 and mentioned to somebody that I’d like to run for office someday. Be careful what you say—you’re at a conference. Somebody may be listening. Quick sidebar on that story: I was born on Election Day. In 1990 I was elected on my birthday to the Idaho state legislature. This year my birthday is on Election Day again and I would like some really good presents. Or you could say that the story about why I’m here and why I do what I do begins much earlier with my parents. They grew up very poor during the Depression. My father worked really hard, never went to college. My mother was a teacher because she went to what was called a normal school—a two-year teacher’s college. They told me that I was a really lucky kid. I had a lot of advantages. What’s interesting to me now is that they recognized that these were unearned advantages on my part. I had done nothing special and I was really lucky. Because I was so lucky and because other people would not be as lucky as I was, I basically owed something. I had an obligation. If the phrase “pay it forward” had been in circulation my mom would have used it. So that’s where my story starts. Or the story starts when the city of Spokane put a bike lane in front of my house and I became Bike to Work Barb in my community. That one’s an infrastructure story. The great thing is, each of these versions is true. Each of these starts with one individual piece and brings me to where I am today. My husband and I have been doing a lot of jigsaw puzzles lately—thousand-piece puzzles—and I can tell you, you don’t really know where you’re going with the story of your life. It’s not a jigsaw puzzle with a box with a convenient picture on the front. Your individual actions add up to create your story. Each of us has a story. That story begins here—or there—or over here—depending on how you choose to tell it, and maybe whether your mom’s in the room. My question for you is, What’s your story going to be? Maybe you came thinking you’re in the business of operating a bikeshare—and now you realize you’re in the business of individual freedom and mobility—and justice—and equity—not just transportation equity, but genuine, all-in equity. Which is going to mean change—deliberate, mindful, purposeful change. It means changing the way you do business, who you do business with, who and how you recruit and promote and market, who you see as your customer, what services you provide, what you do with the data you collect. Being deliberate, mindful and purposeful. Maybe you came thinking you’re in the business of community organizing—which has a very proud history—and now you realize you’re in the business of infrastructure and partnering with transit and congestion relief and mode shift. Wherever you came from, you should have at least some new story elements because you came to Portland in 2018. In yesterday’s plenary somebody used that classic phrase about speaking truth to power. Now I get to stand here partly because I have a certain amount of position power. A lot of you in the room hold something like that. I want to say to you that what you need to do is give your power to truth. That’s going to change your story. A small illustration about one of the things I’m able to do, from a job that has at least some position power within WSDOT. There are only so many division directors so I get to be in certain meetings and in certain places. When I started, I began laying out the case for active transportation investments. I have great leadership—this comes from the top and it’s not all on me—but I have a fair amount of responsibility. I needed to do this in terms that made sense to a lot of engineers who probably haven’t been going to the same conferences I have. So I talked about data. I told stories about necessity riders, necessity walkers. The people who have to get to and from work or the day labor site or the grocery store, the daycare, the library to use the free Internet to do a job search because they do not have a smartphone and a data plan. These are my neighbors. In my neighborhood we have bus service every 15-20 minutes during the peaks, then every 30 minutes, then every 60, and then just after midnight it stops running completely and doesn’t start again until 5:30 in the morning. There are shifts that end during that gap in service. And not all of my neighbors have a reliable car, or a car at all. So those are my people that I work for and those are the stories I was telling to my engineering counterparts. In every presentation I said we need a transportation system that works for everyone—meaning everyone—and here are these folks. Now, 22% of the people in Washington don’t hold a driver’s license. They’re too young, too old, don’t/won’t/can’t drive, have a financial or legal or disability barrier—something. There are people who hold a driver’s license for ID purposes but don’t drive so the number of non-drivers might actually be higher. None of this is actually new information. It’s been there in the numbers all along. But nobody had been telling that story that way. I can’t tell you how many times people told me they had never thought of it quite that way. No one had been telling them that story. I’m also quite, quite sure that even the ones who rode bikes carried a lot of stereotypes in their heads about who bikes. We all know those stereotoypes and you know what that person looks like. And you definitely should be coming away with data that tells you those stereotypes are wrong. It is your JOB to normalize authentic images and stories and the realities of bicycling for all. Meaning all. All kinds of riders for all kinds of reasons. That’s giving power to truth. I said you need to think about what kind of story you’re telling with your life. You may have that all figured out, or you may not have thought of it in quite those terms. I’ll share another story from my legislative days. 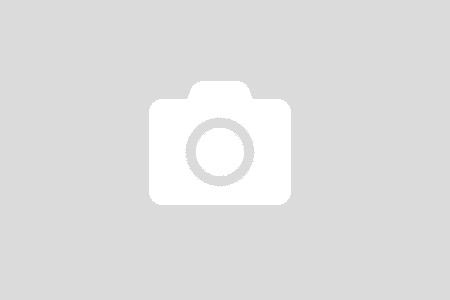 I ran for office in 1990 and was not supposed to win. One other number—I can remember how many votes I won by. Out of over 20,000 votes cast I won by 313 votes. I’m not sure how many doors I knocked on but it was more than 313. The week they called to recruit me to run they only called me because they needed somebody to at least file for the office as a placeholder and I had made this stupid comment at this conference. So I thought about it and it’s very flattering to be asked, let me tell you. I talked to my husband and we were not sure…. I ended up saying yes, I would run. So I filed the paperwork—big scramble to do that—and the next morning that little test strip? Oh yeah. So yes, I ran as a pregnant pro-choice candidate. Elected on my birthday and six days later had my daughter. We like to call that A Big Week. I took a baby to the legislature, which was not as common a thing. Even today it makes headlines, and I made headlines. I loved that job. I worked on issues like daycare licensing standards, which were pretty personal. I was good at it. I formed coalitions, I was a member of the minority party and I actually could get enough votes to get bills passed. That used to happen. I ran for and won an open Senate seat and I was supposed to be a safe seat when I ran for re-election to that. In fact, the man who was running for governor that year wanted to campaign with me because in my district I was supposed to have “skirt tails” (instead of coattails). I wanted to run for office in the first place because I wanted to save the world. Because after all, somebody has to. And then I lost. So after I cried, I looked around for what I was going to do next. A friend of mine, a political science instructor at North Idaho College, suggested I teach as an adjunct for a semester. He knew someone was going out on sabbatical who taught pre-history to the Middle Ages. I had only taught some community-interest workshops. I had only minored in the subject matter. I didn’t have a master’s degree. I had a bachelor’s in linguistics and English, though, and a lot of the the story of language is actually prehistory, so I had that under my belt. The regular instructor had all the course materials, syllabus, tests and what-not together. Please don’t be horrified, academics in the audience, but I got the job. I scrambled all semester to stay a few steps ahead of my students. I have never studied so hard as when I was a teacher. I was exhausted. And I loved it. After the semester ended and I was done with that job I had a pause to reflect. I thought, “So what’s going on here?” I had loved my first real job after college working in a little publishing company in Spokane—we did some of the official Washington state centennial publications. I loved serving in the legislature. Now I loved teaching. I start to sound like somebody who has a spotty work history. What was going on here? What was the common thread? If this was a story, what was its plot? Because each chapter sure seems to be about something different. This is more like a short-story collection than a coherent novel. I realized that the plot to this story was that I needed to work for something I believed in and convince others to care about it as much as I did. (Well, maybe not QUITE as much, for my students. I love history.) And not just to CARE, but to ACT. To buy that book, write that paper, vote for me, vote for that bill. With that figured out, this story started to make a little more sense. I hadn’t realized my life was a story I was telling until I tried to explain it to myself and realized it didn’t yet have much of a plot unless I really looked for it. So I ask you now to think about YOUR story. How you tell your story, what’s the plot, and how everything you learned here will change it—or it will give you that change in perspective to look back and see how it all led you to where you are now AND how it points to where you’re going next. And to what will be different—because you came to Portland to a conference i 2018. Not that everything is necessarily crystal clear for you right now. I tell people if I was on a career path, the first part sort of looked like someone wandering into the woods. Oh, here are some pretty flowers! I hear a stream and I love water! I’m going to stop and listen for birds! Uh-oh, there’s a hill to climb! Someday, years from now, when somebody asks you, “What did YOU do back in the old days (these are the old days), in the scary times before we finally figured it out and fixed things?” (because we do need to fix things) what will you be able to say? What is your story about what you did for justice? For the very air we breathe? You are writing that story RIGHT NOW. There’s another storytelling element that got some mention but not much discussion at this conference, and it’s something I challenge you to take back and incorporate into your story, into your work. If you were an author outlining a novel you have to think about the final chapters. With what you do today, you’re writing the story your future self has to live in. This is the book Inkheart, and the story you’re living in is being written as you live it. For you movie fans, if this is The Truman Show, you’re designing the set. If you’re a Trekkie this is the “Darmok” episode and you have to find the meaning in the allegory. Because someday—SPOILER—you’re going to be old. In fact, right now a whole bunch of people are turning old every single day. That same Silver Tsunami that my agency and every public agency in particular is dealing with—that huge wave of retirements that make it hard to recruit the workforce we need?—that’s a whoooole bunch of people whose transportation needs and capabilities are going to change. They’re all used to a level of transportation independence that’s pretty geared around having a personal vehicle. When they have to stop driving, what happens? To them, and to everyone around them. My dad was one of those. A World War Two bomber pilot, he kept driving well into his 90s. His hearing was gone, his eyesight was going, and he thought stop signs were just suggestions—a nice idea for other people. I told people who lived in Lewiston that if they saw a Honda station wagon coming—goldflake with lots of scrapes down the side—they should just RUN FOR THE HILLS. It took a long time for us to get the keys away from Dad—longer than it should have. How many of you have had to take car keys away from a parent? Yeah, THAT’S something to look forward to. My dad grew up during the Depression, the oldest of seven kids who lived to adulthood out of 11. They had a hard, hard life. He didn’t go to college. He worked his way up from sweeping floors at the lumber mill to managing that mill. He was justifiably proud of everything he acquired through his hard work and being able to buy a new car was one of those symbols. Plus, once you’ve been a bomber pilot…. The thing is, he didn’t have any transportation frame of reference in which taking transit, or riding a bike, or sitting as a passenger while somebody else drove represented any kind of transportation independence. This was Lewiston and this was before Uber and Lyft. So we tried paying a cabby a big deposit and telling Dad he had a personal driver. All he had to do was call the guy. Never did. Easiest $200 that cabby ever made. So when Dad finally, finally had to give up his driver’s license he lost every last scrap of transportation independence. He wouldn’t take the van, in the assisted living place they were in for my mom’s dementia, and ride with the old people. So he depended on my sister to drive him places. I’m not going to be my dad. My kids already know I will only live in places that have great transit service and great bike infrastructure, period. Because you don’t even have to wait until you get old to need some other way of getting around. The demographic category of “people with a disability” is one you can join now, and you don’t always see that one coming. I’ve described this as the final chapters of your book but it could be the next chapter in your life. i want you to think about that. It’s not necessarily shiny and cool but it’s an emerging and enormous need our society has to figure out and you can be part of that solution. Adaptive bikeshare is a fabulous idea. We all need to commit to the idea that when we say bicycling is for everybody we mean everybody and there’s a way to make that happen. At any rate, think of your work as creating the transportation system for your future self and you don’t quite know when the future starts. Now here’s the genie-in-the-magic-lamp part of this story—you’re doing things that change the stories in other people’s lives. You’re not providing transportation. You’re connecting people to the moments in their lives that matter. Think about they’ll be able to do because of what YOU do. Think about who story you’re changing—and whose story you are NOT changing right now. I would come to understand that my “how I became a bike commuter” story–my ability to choose to ride to work—is not just an infrastructure story. It also embodies the privilege that made a lot of my story possible. The very fact that the city was putting a bike lane in front of the house in my neighborhood is a piece of that. There are so many more elements, like the fact that I could afford to buy a bike and then to replace it when it was stolen, that I could be a little late to work and not get fired. I only worked one job. I had nothing to fear if I were to have an encounter with law enforcement. I had never even thought about that at that point in my life because I hadn’t had to. That’s a thing about my story that I didn’t know at the time. “There’s a bike lane! I’m going to start riding to work! I’ll drive to find out how far that is.” (That’s really embarrassing now—just putting it out there.) I didn’t start biking to work every single day, but that infrastructure was definitely an invitation. You’re in the business of invitations. The bike lane was a visual symbol to me: “People bike here.” Every bikeshare bike out there is an invitation saying “You could ride a bike.” So think what you’re doing, you’re changing somebody else’s story. That bike lane—just like going to the conference in Boise in 1990—also changed my life. It put me on the path to being an active volunteer—you can’t ride a bike and not be an advocate for better infrastructure. It led to a lot of things including a change in my career and where I lived and why I’m standing here today. It’s a piece of that jigsaw puzzle. In transportation planning and modeling and traffic operations and performance measures and everything else, we think about big numbers. Big data. We need to get X number of wheeled devices through Y intersection in Z amount of time or everything goes to pot. Which is why I ride a bike, by the way—for the flexibility and freedom to escape that jam. But as far as any individual human being is concerned, they are an N of one. When that statistic happens it obviously had a 100% chance of happening. It must—it happened to them. We aren’t very numerate (remember, storytelling species). So if something does or doesn’t happen for us individually, that N of one is all that matters. That’s what you’re doing as you affect one customer’s life or one person’s life. You’re changing their N of one experience. I said earlier that individual actions add up in your story. It’s also true that individual actions and stories also add up to collective actions and stories. One person riding a bike is great for that person. Five or ten riding together makes a party. A whole neighborhood riding or a city with more and more people riding—that makes our air and water cleaner for everybody, including the people who don’t ride. But that big story can’t happen unless that first, personal story happens—that N of one. That’s what you’re doing. As you write your own story you’re changing the stories of other people. As we bring this chapter to a close I’ll give you a recap of the things I hope you take away and work into your story going forward. You give your power to truth. You tell the stories that demonstrate that bicycling genuinely is for everyone—and you work to make that true. You connect people with the moments in their lives that matter. You recognize that your own story may look different from another perspective—and you learn from that. You work to remember that. Once you know it you can’t UN-know but if you embody a lot of privilege it can be easy to kind of forget. So don’t do that. This is the outline of the chapter your future self is going to be living. And you change someone else’s story for the better. When you write THIS story, you inspire others to share it. Your individual actions and stories really do become collective actions and stories and together, we really DO save the world—which is why I got into this in the first place. And we save each other. Let’s go out there and write some history/herstory/theirstory—together. “What are you going to say you did for justice? For opportunity? For equity?” as a result of having been in this @go_nabsa conference? @barbchamberlain wants to know.